The United States has the second highest child poverty rates within the 35 wealthiest countries. 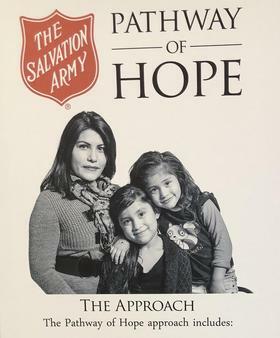 The Salvation Army is trying to lower those numbers. The international Christian based organization is bringing its "Hope of Pathway" program to Florida. The program’s goal is to lessen intergenerational poverty. Tallahassee Salvation Army program director, Julie Smith, says there are certain needs each family must meet when entering the program. “They have to have children that they are responsible for within that household because the idea is to work with the children as well, so that next generation is not caught in the same level and third they have to be highly motivated to make changes," says Smith. Smith says one of the reasons poverty is increasing is a lack of education. “Over time you have a series of three or four generations from one family that’s all living at the same level because that’s what they know, that’s what they’ve learned and that’s what they will still continue to know. If you start with ten families and there are 20 generations out and you now have 30 families,” says Smith. According to the U.S Census Bureau, about 3 million Floridians are living in poverty. Regional training sessions are being held to bring Hope of Pathway to 54 different locations in Florida to assist families.